Melissa, Megan's Mom, took great pains at perfecting this Costume, as the movie is a favorite of hers. The Human-turned-Blueberry is a great touch. 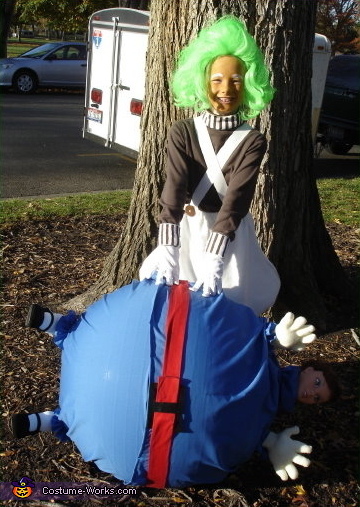 Melissa has shared with us her instructions on making Oompa Loompa costume.